Perhaps you have heard of bulletproof coffee. Many people drink it on a daily basis. The benefits from it are amazing. So what is bulletproof coffee? First let’s go over a very basic recipe for bulletproof coffee. Seems simple enough, right? 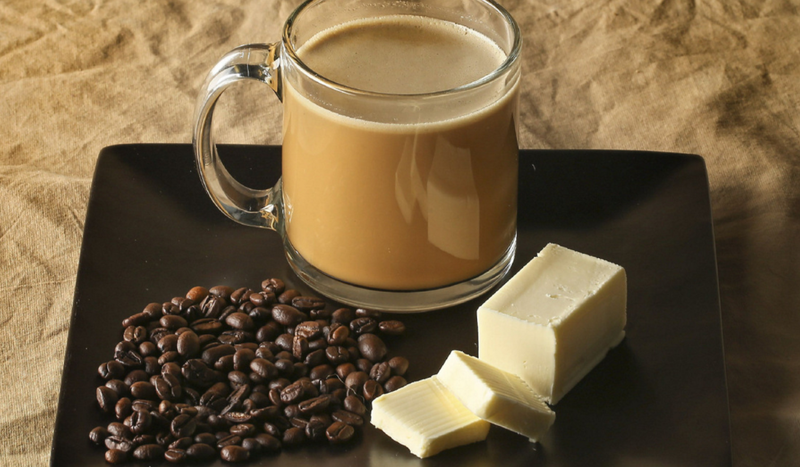 Let’s look at the nutritional value in bulletproof coffee. If you’ve never had bulletproof coffee, it’s a very unique taste. The consistency of it is similar to a latte. Before committing to a diet featuring bulletproof coffee, I’d make sure the taste is something you enjoy. Does it matter which kind of coffee beans you use? Not really. Organic coffee beans work best, but that could be said about any cup of coffee, not just bulletproof. Bulletproof coffee can replace a meal. Many people have replaced their morning breakfast with a cup of bulletproof coffee. When you start your day with a cup of bulletproof coffee, it gets your body burning fats as a source of energy, which is what the ketogenic diet is based around. For someone who is on a keto diet or doing intermittent fasting (or both) this is a great thing to add to your diet. Bulletproof coffee is loaded with healthy fats. Grass-fed butter and MCT oil are both very high in omega-3 fatty acids and omega-6 fatty acids. These two acids are loaded with benefits. Bulletproof coffee boosts your energy. Much like regular coffee, bulletproof coffee contains caffeine which gives you a boost of energy. Many times people load up regular coffee with sugar and cream. These are empty calories and do absolutely nothing to get you through your day. Bulletproof coffee is loaded with nutritious calories, which keeps you going strong on days when choose it instead of an actual breakfast. Bulletproof coffee tastes awesome with no need for sugar. Many people are unable to drink black coffee every day. When someone adds cream and sugar to their coffee that puts it up over 100 calories, depending on how much cream and sugar you add. If someone likes lattes or frappuccinos, those can be up near 500 calories. Bulletproof coffee contains no sugar. Unless you add some. So don’t! It does contain much more fat than a regular cup of coffee. This is why it makes so much sense for someone on a ketogenic diet. The fat turns into energy and it helps someone in a state of ketosis thrive. Is bulletproof coffee for you? What are you waiting for? Go out and get some today!